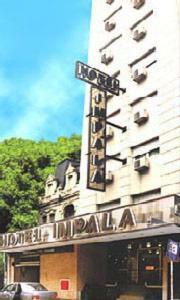 Hotel Impala, Buenos Aires discount hotels and accommodation. Located in Buenos Aires most fashionable area, Barrio Norte and Recoleta, a few meters from Santa Fe and 9 de Julio Avenue´s.As usual, at Impala Hotel you will recieve always a cordial attention. View photos, room descriptions and make online reservations at Hotel Impala. Save on room prices at Hotel Impala, Buenos Aires.